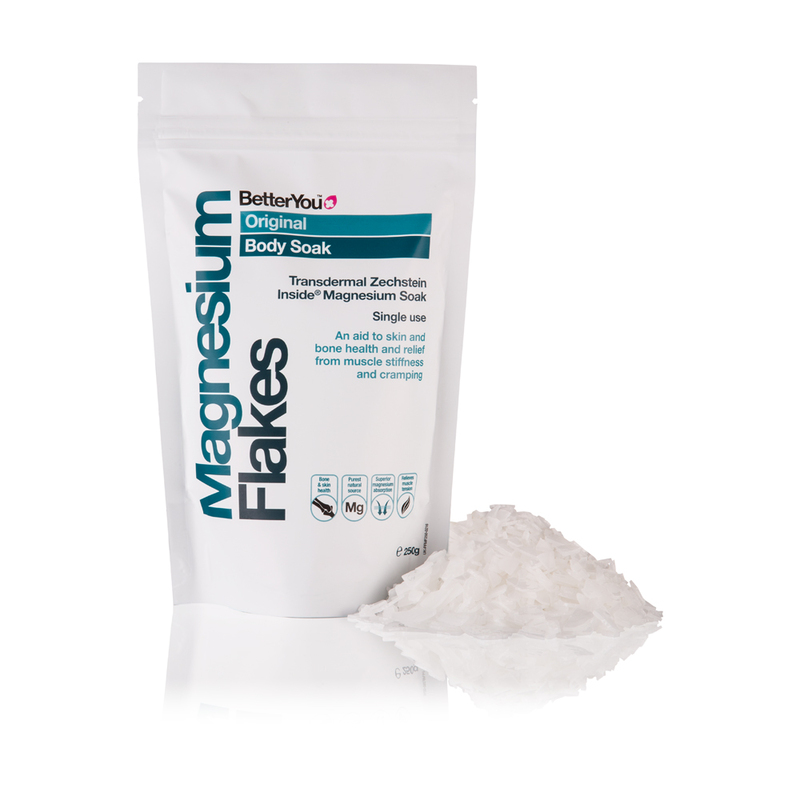 BetterYouTM Magnesium Flakes contain a highly concentrated form of 100% natural and pharmaceutical grade magnesium chloride. Efficiently replaces magnesium lost through modern diet and pressured lifestyles while enjoy the most relaxing 20 minutes you will ever spend. Mined from ancient Zechstein sea deposits one mile below ground and over 250 million years old. Naturally filtered and condensed for a purity second to none. Dissolve 250g of BetterYouTM Magnesium Flakes in a warm bath and relax for 20 minutes or longer to gain full body relaxation. Zechstein Inside® Magnesium Chloride Hexahydrate flakes (47%).